Pedestrian access and limited parking can be found on Wesley Close. A larger car park can be accessed off Park Road. Park Road is across from The Memorial Theatre. Halfway up Park Road is a small turning on the left signposted Pure Moves (right before the Catholic church) This small lane opens into a car park. 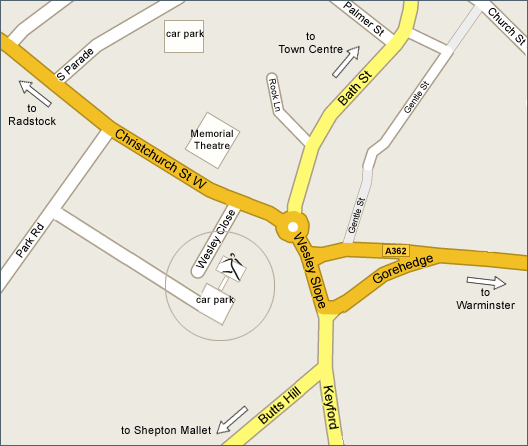 In addition see the map above to locate public car park on South Parade. Our venue is available to hire for classes and weekend workshops.